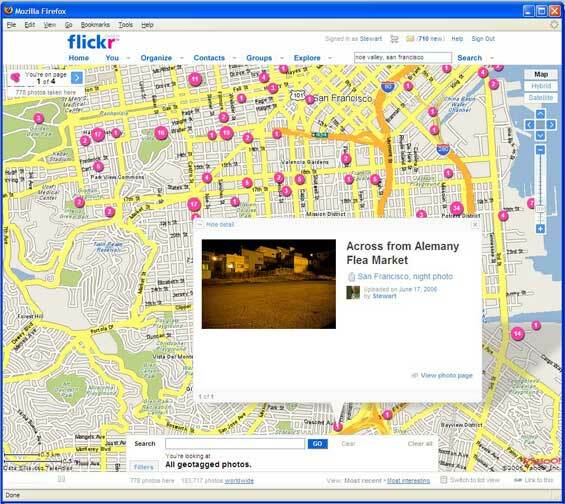 Flickr added geo tagging functionality and search to its service earlier today, as previously rumored. 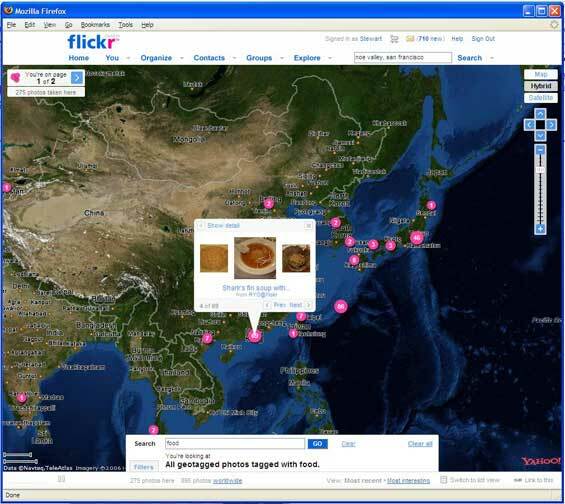 Adding location information on Flickr is done through the Organizr, under the Organize tab. In addition to the “Your Sets” and “Your Groups” tabs in that area, they will add a Maps tab where you can drag photos into a Yahoo Map area. A marker will appear that shows the number of photos included with that marker. Once you have a location you can use the Organizr to search your photos and then drag them individually or by sets into the map. Users can search for photos by location in the Explore area. Set the map to a location (world down to street level) and type in a search query. Markers will appear on the map with photos that contain that query in the tags or description of the photo. For more information, check out the screencasts created by the Flickr team (Part 1 and Part 2) and the Flickr blog.